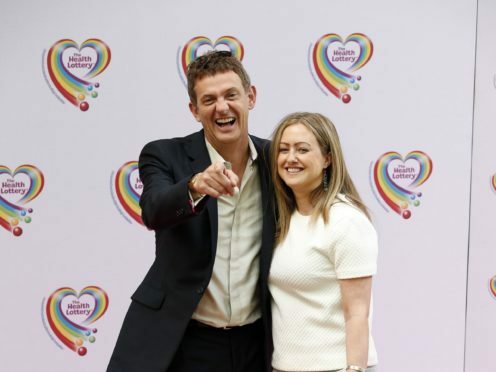 Matthew Wright and his wife Amelia have announced they are expecting a baby girl after eight years of IVF treatment. Amelia shared the happy news in a post on Twitter. “After 8 challenging years of IVF, we are thrilled to announce that on our last roll of the dice, we got lucky and are expecting a baby girl. Woo hoo!” she tweeted. She teased that her husband was “still in a state of shock”. Matthew, who recently quit his TV show The Wright Stuff after 18 years, retweeted the post. He later posted: “Ta for all your kind words re @mrsameliawright and pregnancy. “This is the first @twitter storm I’ve been thru where the rain is lovely and warm,” he added. Matthew recently told how the suicide of one of his friends and the long-running IVF struggles led to his decision to quit his talk show. Appearing on ITV’s This Morning, he said: “It was a combination of lots of things really. Channel 5 decided to move it to a different production company to freshen it up. He has now returned to broadcasting with a new radio show on talkRADIO.